It’s begun! My Mushroom Kit is growing! Last night there was nothing (visible to the naked eye) ~ this morning? 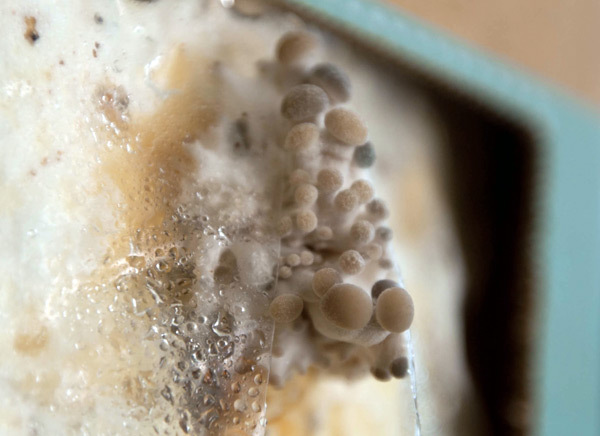 Shroom cluster popped out… somewhere between fascinated and having a hard time imagining these as food… had to get up close with it and share the beginnings with you… there’s even a second lower cluster starting too… take a peek at day one of mushroom madness on the next page. Ferrari parts, tiny abstract people, and architecture - how can you go wrong? Justine has found more window fun on London’s Regent Street. 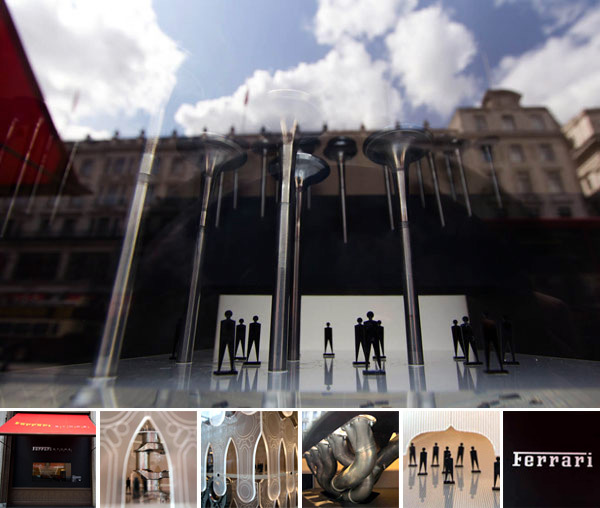 The display in the Ferrari store is my favorite of the Regent Street Windows Project, a collaboration between Regent Street retailers, the Royal Institute of British Architect’s, Elle and Regent Street. The Ferrari display, “Cities of Tomorrow” showcase Ferrari-inspired urban environments of the future. The window designs are the work of Duggan Morris Architects in collaboration with Ferrari and Pipers. The displays are made of Ferrari memorabilia, original, unique and certified components from past and present of F1 and GT cars, which can be purchased from the Ferrari store. The Cities of Tomorrow windows will be on view at the Ferrari Store on Regent Street until Sunday 29 May 2011. Take a peek at the installations on the next page! We’re not really sure what’s going on with these yet… but Justine found these Mr. Potato Head’s in the windows of Liberty in London. With a twist ~ paired with designer fashions…. 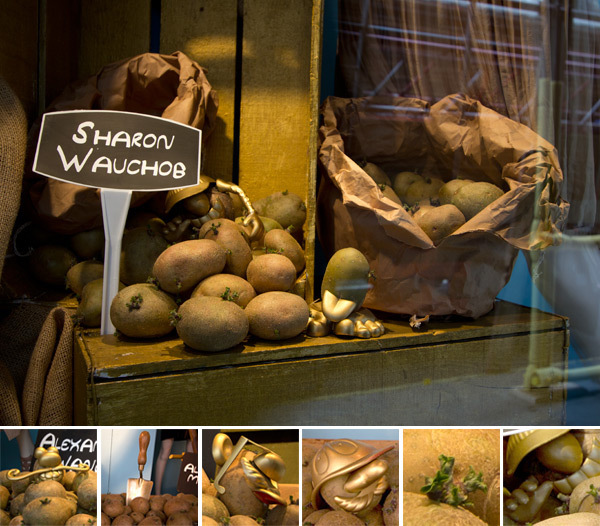 there are literally bags of real potatoes… adorned with gold spray painted Mr. Potato Head parts! See more close ups of the bizarreness on the next page! This post is sponsored by American Express Membership Rewards. Visit American Express on Facebook at facebook.com to view all the possibilities with Membership Rewards Points. Ok, so i just spent a week with a 2011 MercedesAMG C63 in my garage (yes, the BRIGHT mars red one)… and i forgot how much i LOVE driving. 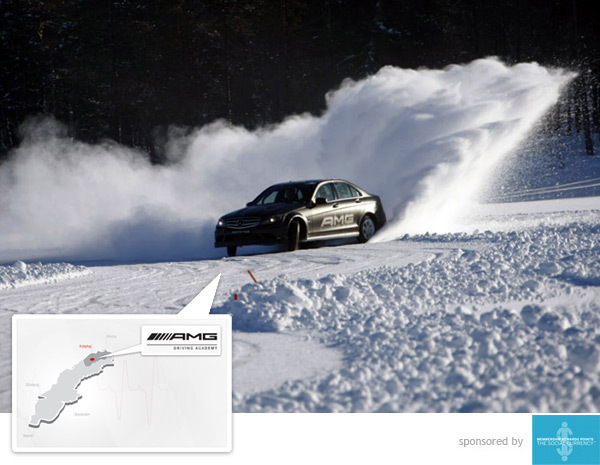 Sadly just had Mercedes come pick it up a few minutes ago… So, that combined with being asked to share some of my travel dreams for these Amex Membership Rewards posts… i had to show you the Mercedes AMG Driving Academy Winter Sporting classes… in Arjeplog, just 80km from the Arctic circle! The pictures are just stunning ~ definitely dreaming about doing these some day ~ though i can’t decide how i’d ever pick between driving and photographing! See it all on the next page! There’s more than just the Whale Rodeo! As promised, here are more highlights from Selfridges’ Project Ocean. In addition to the commitment to raise awareness and funds for conservation, Selfridges really carry the theme throughout the store, tying things together with their beautiful illustrations of fish by the very talented Sanna Annukka (check out her commercial portfolio here)! And yes, you may recognize that beautiful style from the Marimekko prints we love so much! Annukka’s illustrations grace the doors and windows of the store, and can be found throughout the store in mobiles and on the walls (you might have spotted a few in our previous post). 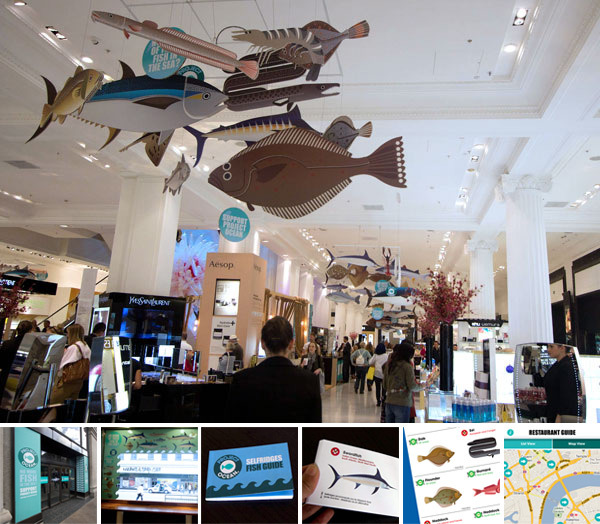 They are also the images that feature in Selfridges’ fish guide - the print, web, and app versions! Check out the beautiful illustrations in all their many manifestations on the next page! 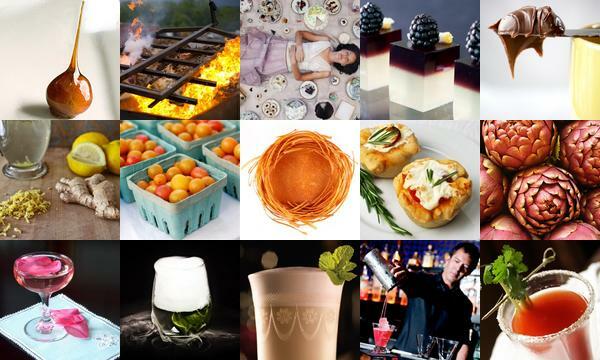 These sumptuous delights from Tasteologie and Liqurious are sure to get your mouth watering. To find out more about each post, click on its individual image. Buying and owning is really only half the battle… responsibility… whatever you want to call it when you are talking about all the clothes and other accouterments we adorn ourselves with. For this post, Leo and Marcia delved into the world of laundering and objects that help us care for the clothes we love that are worth showing off like a gorgeous piece of furniture. 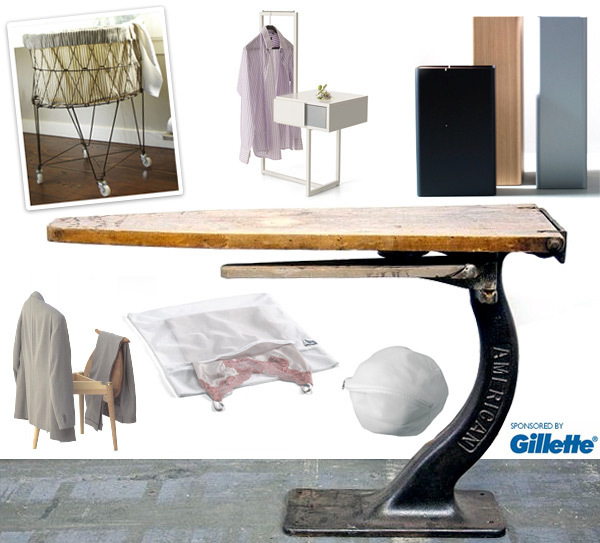 From laundry baskets to ironing boards that look like works of art ~ to unusually dressing/hanging stations and convertible furniture! Take a peek at it all on the next page! On random finds on my cell phone ~ Louis Vuitton had some memorable window designs down at South Coast Plaza. How can you not be drawn in by these dripping golden honey bursts ~ with golden bees and LV logo/icons all bursting out from it? Take a peek at more details on the next page ~ and if you have more pics or info, send it over! 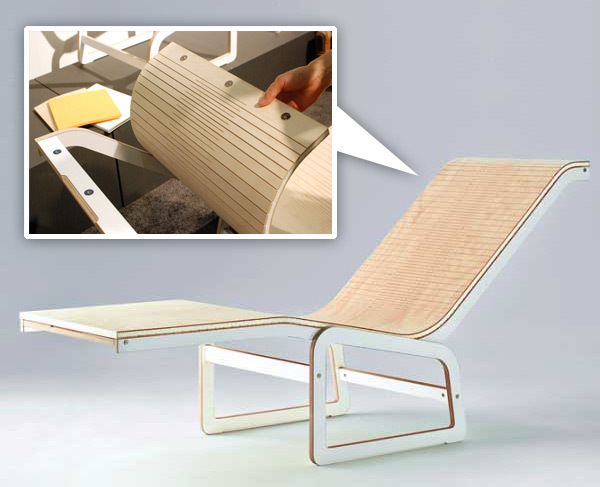 Another ICFF discovery from Anna of Sub-Studio ~ we’re loving the Ply Project’s Flex Chair created by Kenichi Sato. It takes full advantage of plywood as a material, using its ability to be both rigid and supportive and take on a soft, bendable, almost woven texture. Being made of plywood, the chairs are lightweight and easily moved as they can be separated into a flexible plywood membrane which attaches to a metal frame with embedded magnets, making it so easy to remove/clean off/swap/etc! The Flex series comes in both a chair and chaise lounge. 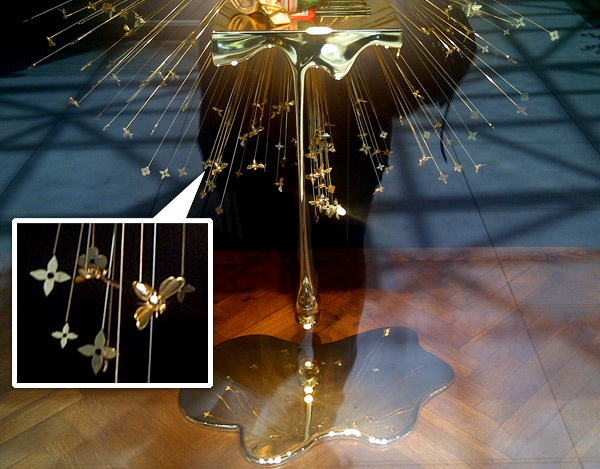 Take a peek at some of Anna’s pics from ICFF as well as product pics on the next page! Linocuts, water balloon fillers and Star/Sartre Wars. It could only be your weekly NOTCOT.org roundup. To find out more about each post, click on its individual image. 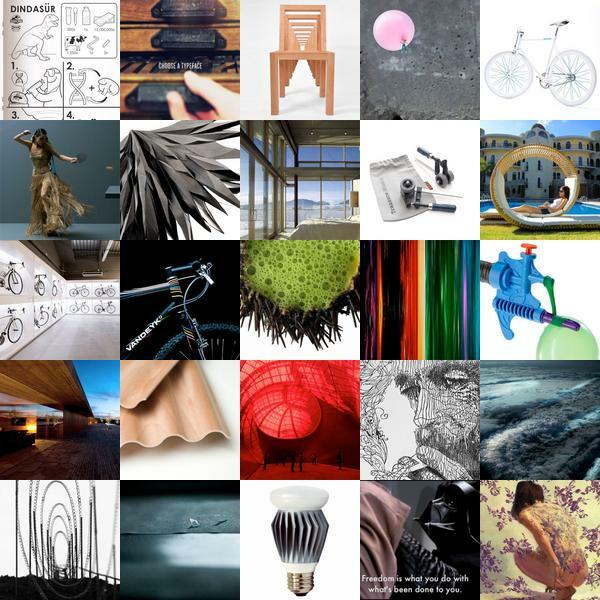 Been exploring NY Design Week digitally this year, and Anna of Sub-Studio, has been our eyes and ears! She just sent over these pics of The Reflective Work showing at The Future Perfect! Gorgeously simple idea, and so beautiful! 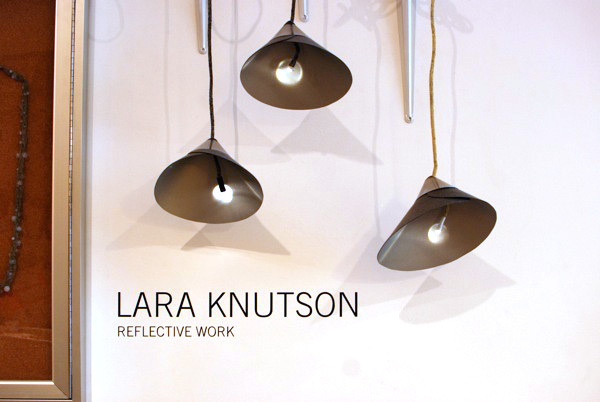 Made by Lara Knutson, the shade is made out of a reflective glass fabric that is made from microscopic glass beads which magnify light 100 times. 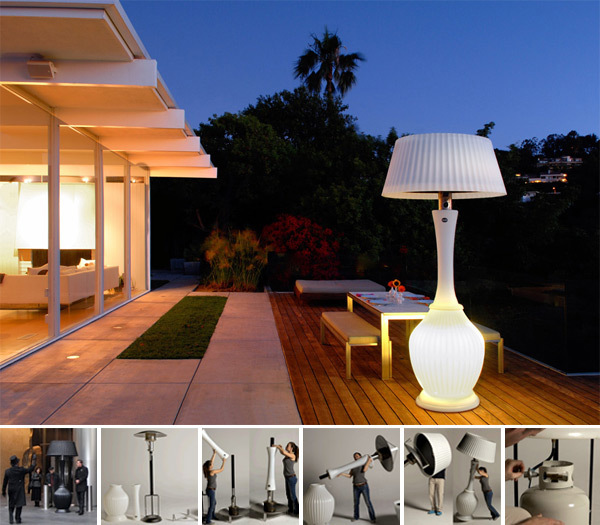 The fixture is lit with an LED that looks like a traditional lightbulb when reflected in the lampshade. There was also a bunch of vases and jewelry that was made from the same reflective fabric. See close ups on the next page! On surprises and coincidences ~ the awesomest present just arrived at my doorstep! 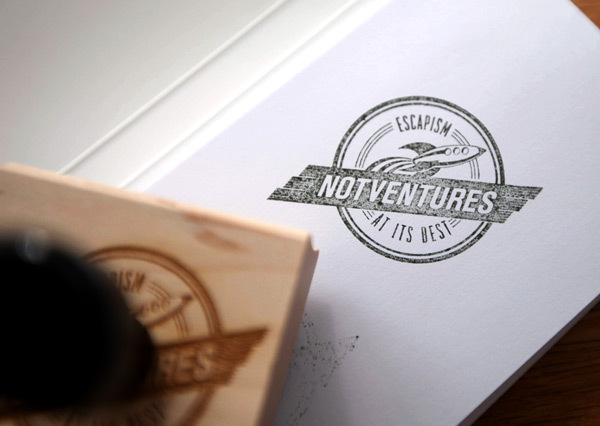 And can i just say that Dead As We Know It is not only an incredible creative agency ~ i’ve long been a fan of just about everything they’ve ever done ~ are incredibly fun to brainstorm with over breakfast in snowstorms ~ and they even helped design the NotVentures logo and banner! So when this surprise stamp arrived today ~ i was touched, excited, and am now stamping just about everything in sight (yes, including my hand). See more pics of it on the next page! p.s. Oh. and as for the coincidence part ~ they also designed the awesome Thor/Acura S.H.I.E.L.D. Assessment Test i just wrote about in the last post! It has definitely been a car themed month? But what more can i expect when i put a one month travel ban on myself? Inspiration comes through finding other toys to keep me running around a bit… more locally! I played with the Acura MDX recently, and after that i couldn’t help noticing EVERY time an Acura came through a shot while watching Thor! 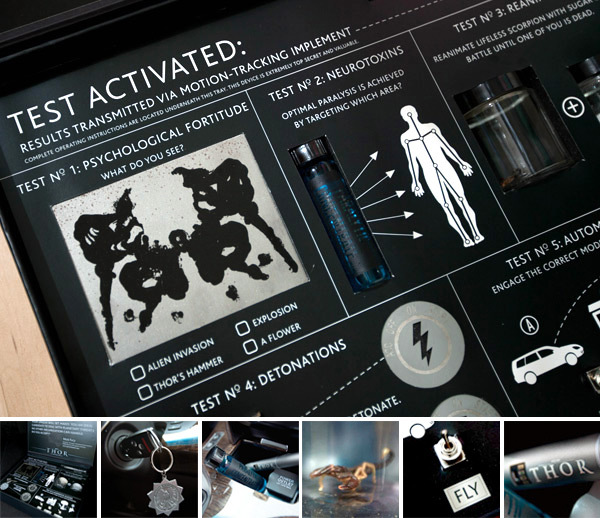 Perfectly timed with all of this fun ~ the Acura/Thor press kit designed by Dead As We Know It (also behind Kraken, NotVentures and more!) arrived! Beautiful, playful designs for everything from branded Pulse Smartpen to sugar cube and scorpion in jars, keys, switches, Rorschach test, and more… all disguised as a playful S.H.I.E.L.D. 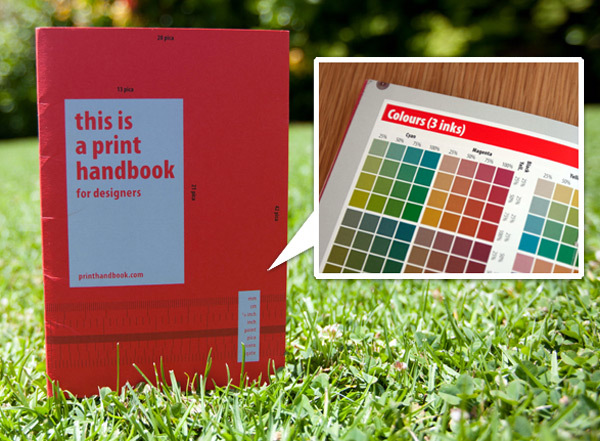 Assessment Kit. The Strategic Homeland Intervention Enforcement Logistics Division - you know, that marvel government agency that deals with superheroes?) Being a perfect excuse for yet another Car Unboxing, take a peek at the kit, the components, and Acura MDX details on the next page!